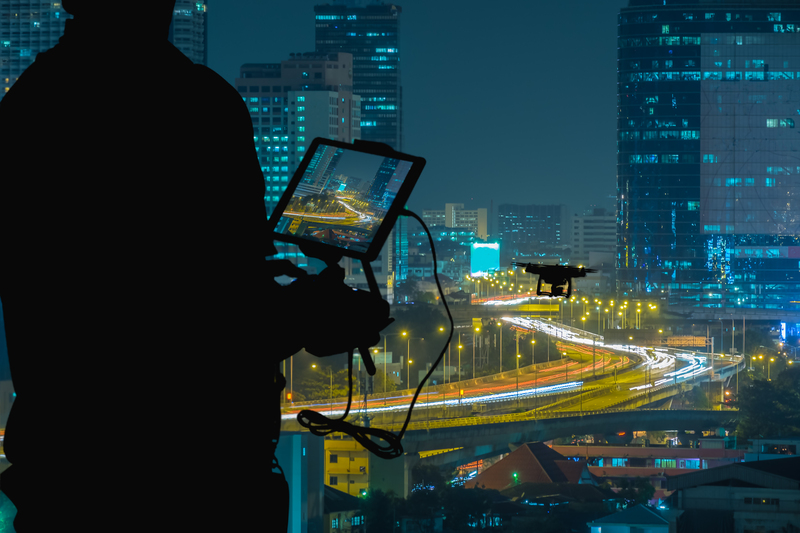 According to AUVSI’s 2017 industry report, the number of non-hobby drones will see a 900% increase from 2016 to 2021, and the FAA’s online database sees an average of 1,000 new registrations each week. Clearly, the commercial drone space is hitting its next phase of growth. More and more businesses are utilizing the power of drone-acquired data to inform their daily operations. With this steady growth, we’re constantly looking for ways to empower commercial drone operators with efficient and accessible ways to protect and scale their business. Today at the annual InterDrone conference in Las Vegas, we announced a strategic collaboration with AirMap, the world’s leading airspace management platform for drones. 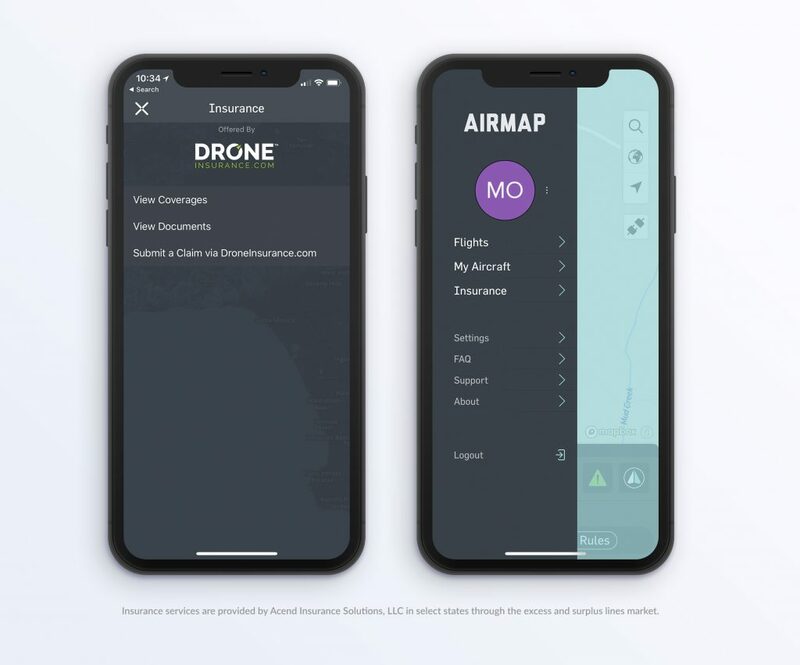 Through this unique collaboration, REIN’s DroneInsurance.com—a first-of-its-kind drone insurance platform offering 24/7 ground and usage-based flight coverage solutions for drones, sensors and essential flight equipment—is offering integrated insurance solutions through the AirMap for Drones app, available on iOS and Android. We created DroneInsurance.com with the goal of providing a smart and paperless drone insurance experience, offering dynamic policy options to address the unique risks, pain points, and insurance needs of commercial drone operators.  Using AirMap’s mobile app, AirMap for Drones, drone operators can now access a variety of drone insurance policies and add flight coverage with the tap of a button. 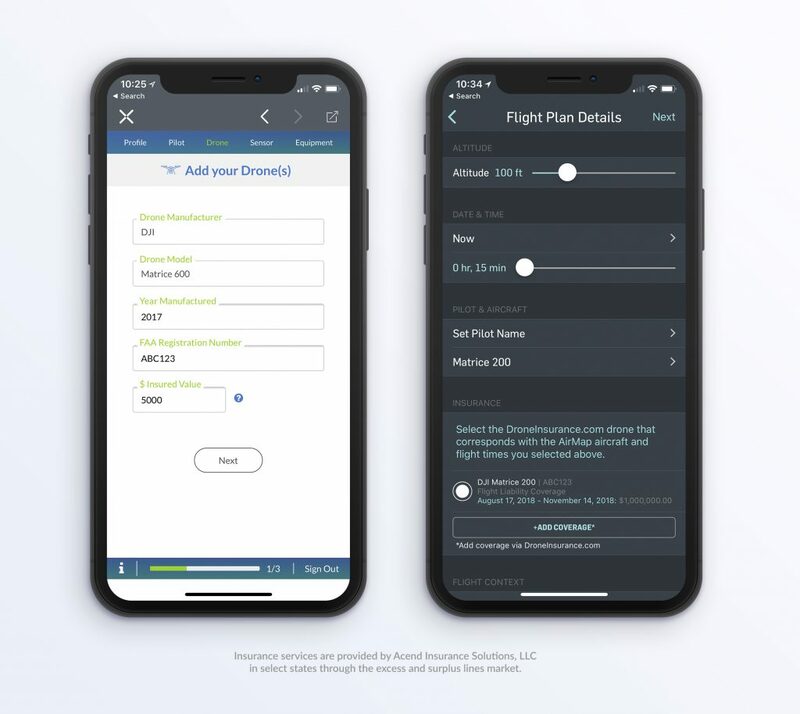 This strategic integration is designed to empower operators with a more streamlined pre-flight workflow that allows them to plan, connect, track and protect their flights—all within the AirMap ecosystem. Previously, obtaining drone insurance policies was complicated, complex, and time-consuming for drone operators. Now, AirMap enables fast and easy access to DroneInsurance.com’s insurance options for commercial drone pilots and businesses, ultimately improving and streamlining the flying experience. 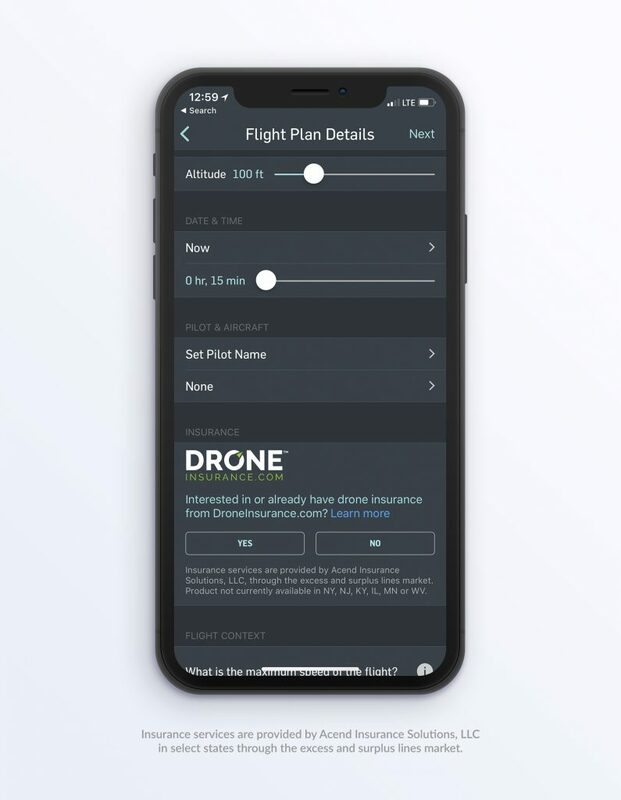 After creating your flight plan on the AirMap app, you will see new DroneInsurance.com functionality that allows you to learn more, create a new DroneInsurance.com account or link an existing one. After linking your DroneInsurance.com account, you will be able to add pilots, drones and coverage via DroneInsurance.com — all from within the AirMap app. *DroneInsurance.com is now available throughout the United States except in NY, KY, IL, WV and MN. Insurance services are provided by Acend Insurance Solutions, LLC (“AIS”), through the excess and surplus lines markets. Easily view your covered flights, access insurance certificates, and submit a claim via DroneInsurance.com, all without leaving the AirMap ecosystem. 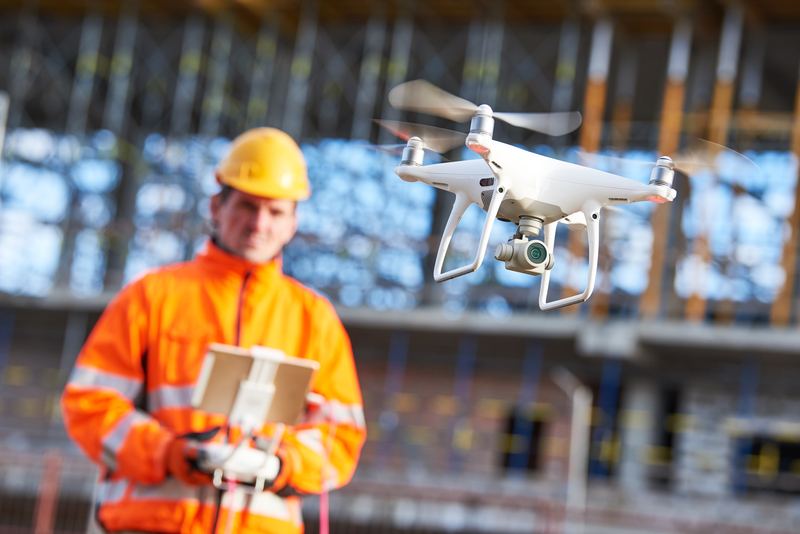 As drone technology develops, and drones are further integrated into our everyday lives, DroneInsurance.com and AirMap are focused on establishing that the future of drones is safe, connected, and protected. Providing simple in-app insurance access will help drone operators and businesses achieve this goal. Ready to get started? 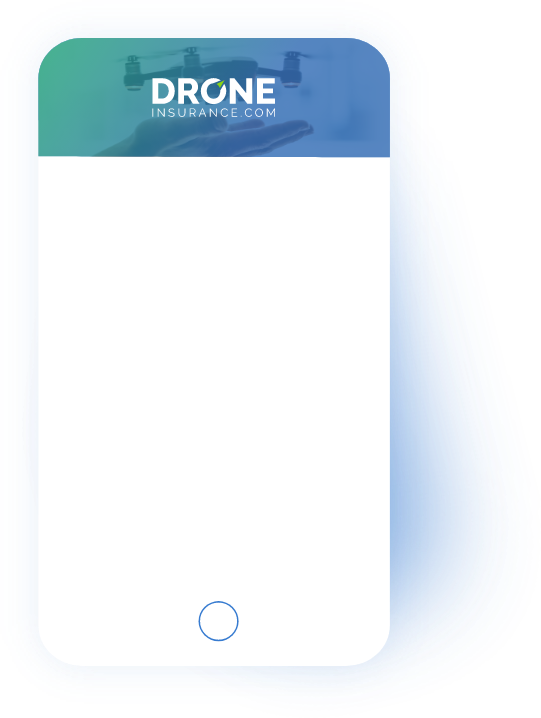 Create your free DroneInsurance.com account today or download the AirMap apps for iOS and Android.